During the dinner at the Łęckis, Wokulski consciously and provocatively breaks the rules of etiquette (e.g. by eating fish with a knife), which scandalises other guests; however, this behaviour, once accompanied with an appropriate comment about the slavery of etiquette, wins him Izabela’s esteem. It does happen, nonetheless, that Wokulski seems to be simply unsure of the correct formula – for example, before his visit with the Łęckis, he hesitates over the choice of appropriate attire: frock-coat or tail-coat? The invisible limit of good manners can be clearly observed in the scene in which Wokulski – having received a belated invitation from the Prince – does not dare to appear at the ball, but only watches the dancers from the street, standing under a snow-covered tree. The complicated nineteenth-century rules of etiquette functioned as a sort of protective barrier, keeping people from the lower rungs of social hierarchy away from high society. 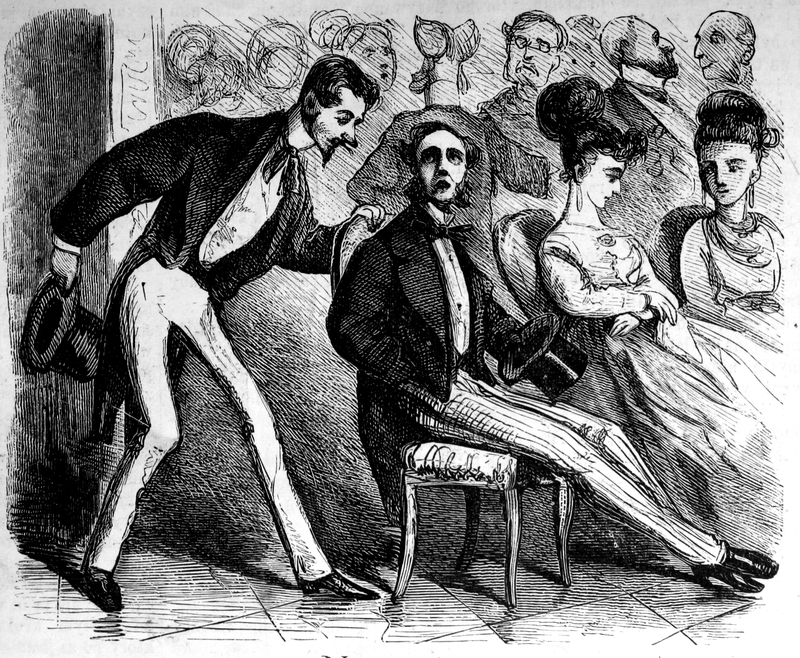 From the perspective of the members of the genteel classes, savoir-vivre was an insurmountable barrier to parvenus, especially that it concerned not only bowing, visiting cards, behaviour at a ball and while travelling, but also rules drummed into people since childhood, rules that are elusive to all readers of savoir-vivre manuals. The nouveau riche were always going to be betrayed by their lack of freedom and grace. Savoir-vivre (French: knowledge of manners) did not apply to everyone equally. People who wanted to demonstrate their superiority would take the liberty of rejecting its rules – Izabela loudly points out Wokulski’s gaffes or makes conversation in a foreign language in his company. Appropriate manners were the gateway to high society and could also facilitate finding a better job: such was the case of clerk Mraczewski, whose grace and politeness allow him to charm female customers. In The Doll, Bolesław Prus also depicts the transformations that manners were subject to – such as the increasing flexibility of the rules (what is acceptable in some circumstances becomes an unforgivable mistake in others) and the disappearance of old models of behaviour (deplored by the aristocrats and the kind-hearted Ignacy Rzecki, a representative of the fading old ethos of trade, who melancholically observes the good manners of old and declassed people: agent Wirski and Jadwiga Misiewicz, behaving like princes). All this attests to the way deeply-rooted models were being challenged and to the arrival of a world of different mores – the era of decadence. T. Budrewicz, Lalka. Konteksty stylu, Kraków 1990. D. Kałwa, Polska doby rozbiorów i międzywojenna, in Obyczaje w Polsce. Od średniowiecza do czasów współczesnych, ed. A. Chwalba,Warsaw 2006. E. Paczoska, Powieść realistyczna jako źródło do badania obyczajów. Przypadek Wokulskiego, in Jak badać obyczaje?, ed. M. Szpakowska, Warsaw 2007. What is the Prus Plus collection?